As we celebrate our 10th anniversary this year, it is incredible to reflect on the families that have been with us since our earliest years. The Schjelderups first joined CAN in 2009 and have continued to access programs and events since. This past weekend, Tracy was invited to share her family’s story at the Canucks for Kids Fund’s annual Dice & Ice Gala. Tracy delivered the following speech about her daughter Jordan to a standing ovation from the many guests in attendance, including Vancouver Canucks management, coaches and players. My name is Tracy and together with my husband, Tom, we have a family of four. Our son, Dylan, is 13 years old. Our daughter, Jordan, is 15 and she has autism. Jordan was four years old when she received her diagnosis. But our journey with autism began a couple of years before that. I vividly remember the sequence of events that led us to understand Jordan has autism. I was hanging out with a group of friends and all of our kids were playing together. At the time, Jordan was two. And while all the other kids were babbling and talking to each other, forging these friendships, Jordan still appeared to be in her own world. She would be either playing with Dora or Elmo – not really engaging with the other kids at all. For those of you that don’t know, autism is diagnosed primarily based on deficits with social interaction and communication. But at the time, we had never seen it or had any experience with autism. I told my friends, “I don’t understand what’s going on – this is really weird.” I ended up being referred to a speech therapist who confirmed it for us. We received the official diagnosis from a doctor two years later. At the time, I didn’t tell anybody. I remember feeling numb. And overwhelmed. When you receive that diagnosis, you get a ton of papers and a list of people to contact. But still, it feels like you have a million questions and no information. As a parent, you look forward to the day your child drives a car, goes to college, marries and has a family. It felt like those hopes and dreams died for us when we received that diagnosis. Every parent keeps track and remembers all the cute little things that their kids do in their early years. But for us, receiving that diagnosis was all-consuming. Every single thing that she did – every cute thing, every challenging thing – became autism. Shortly after Jordan was diagnosed, we took a family trip to Norway. We boarded the plane and she immediately wanted to get off. Jordan rocks back and forth and can get quite loud, so we came prepared with little pieces of paper to hand out, letting everyone on the plane know that she has autism and wasn’t misbehaving. Still, we would have people shake their heads and say, “No, she’s just spoiled” and then walk away. The entire plane ride was chaos. When we hit the ground, we just wanted to collapse. It felt like we would never do normal things in the same way typical families get to. Then, when Jordan was five, we found Canucks Autism Network. I can’t even remember how we first heard about them – that’s how long they have been in our lives. We were lucky to be a part of one of their very first programs back in 2009 – a weekly soccer program in Surrey. Autism was still relatively new to us and we had no idea what to expect. We had no idea what she capable of behaviour-wise – whether she could follow along and listen to instructions. We, of course, had reservations. But for nearly 10 years now, our experience with CAN has been nothing short of incredible. The staff and the volunteers meet her on her level. They know how to cater to Jordan’s unique needs. Whether it was 1:1 or 2:1 instruction, she receives all the support that she needs to participate on her own terms. Jordan has grown up with CAN – she’s done soccer, skating, swimming and biking, among others. Throughout the year, CAN also hosts Family Events where we can go out and enjoy valuable time together. Whether it’s being able to go to a movie matinee in Surrey or get lost at the corn maze in Chilliwack, it has been such a normalizing experience to get to do these kinds of typical activities. And beyond that, we have had the opportunity to meet other families that are going through the same thing. In our earlier years with Jordan’s diagnosis, we got to meet families with teens and young adults with autism who were thriving. That meant the world to us. It was because of CAN that we realized that we were not alone and that there was hope. There are two instances in particular that stand out when I think of what Canucks Autism Network has meant to our family. When Jordan turned 11, she went from being completely non-violent to having sporadic episodes of severe aggression. They came seemingly at random and there was no way of knowing when to expect them. A switch would go off and she would just attack you. Because autism is five times more prevalent in boys than girls, there is much less that is known about girls with autism. At the time, our doctors didn’t know that the aggression was hormonal. We struggled with not knowing what to do for a year and a half. During one of these episodes, we were at a CAN program. Jordan started attacking me and I just didn’t know what to do. When your daughter is hitting you, it’s an out of body experience. I will always remember one of the staff members helping me. He made sure she calmed down. He helped me to my car. He went above and beyond to ensure that both me and Jordan were safe. I was so scared and to have Canucks Autism Network staff help me at such an overwhelming time was so comforting. It was symbolic of the kind of support that they have provided to us since the start. 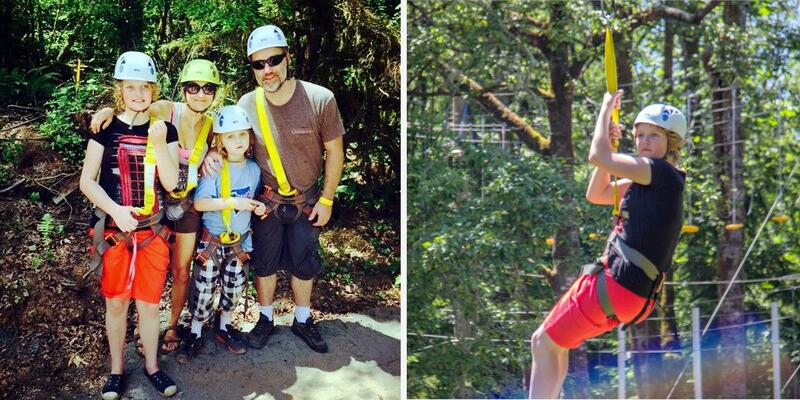 The second memory with CAN that I want to share with you is from one of their Overnight Camps in Chilliwack. For three days and two nights, we were joined by about a dozen other families. CAN set us up in a cabin, fed us, and organized games and activities for a full weekend. 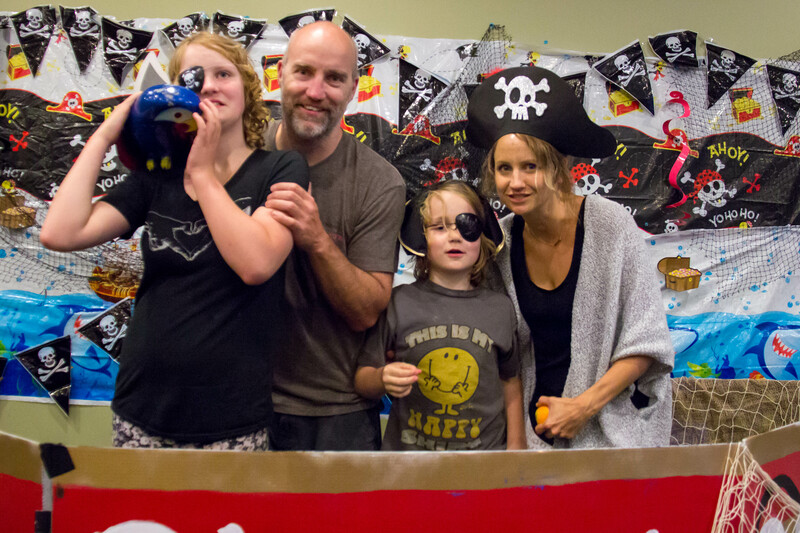 There were campfires and sing-a-longs — all things that I never imagined we would have the opportunity to do as a family with autism. I have to say that it was the most amazing experience of our lives. By then, Jordan had been involved in CAN programs for years. And although it was a completely new experience for her, it was so clear how at ease she felt with the staff and volunteers. She just went with the flow. And Jordan doesn’t normally go with the flow. One of the activities was a zipline. Jordan’s not really big on heights or having her feet off the ground. She went up to the platform and we thought for sure she was going to turn around and go back down. But the way all the staff and volunteers talked to her up there – it was as if everyone was specifically trained for Jordan on that platform. No inkling of doubt in their voice. So she got strapped into that thing and she just went. And she actually went a couple of times! Tom and I were absolutely shocked. But what really means the most to me about CAN is that even if she didn’t get up on the platform that day, that would be okay too. At CAN, we don’t have to worry about being judged or reprimanded for her behaviour. I know that if Jordan isn’t comfortable with an activity or if she acts out – it’s okay. She is understood. CAN provides a uniquely safe environment for her to test her limits. 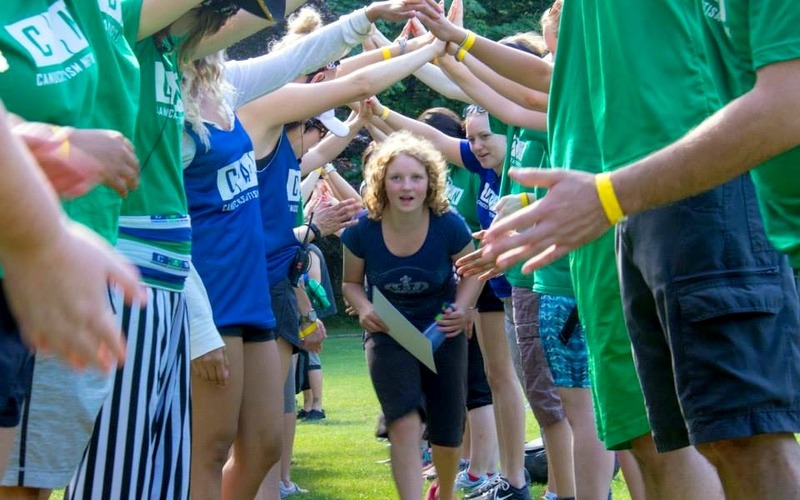 When it comes to Jordan’s recreational time – when she gets to be a kid out in the community – she only does Canucks Autism Network. And for me and Tom, we can feel relaxed. All of our lives, it’s fight or flight all the time. So even just to have a half hour at swim or a full weekend at camp knowing that your kid is safe and happy – that no one is going to say something like, “she bumped into me” or “why is she doing this?” – it is so valuable and so appreciated. I think you can get really hung up on trying to fix autism. For Jordan, I imagine what it would be like for people see you and to constantly just see autism. But at CAN, Jordan gets to just be Jordan. This isn’t to say that it’s not hard anymore. It’s hard every day. You see typical kids that are the same age and you want what they have for your daughter. At Canucks Autism Network, we get to have those experiences. At CAN, Jordan is embraced for who she is. She sees all the familiar faces in the pool and it puts her at ease. It’s part of her routine as an active teenager. And what child doesn’t want that? What parent doesn’t want that? As I mentioned earlier, I’ve met so many other families living with autism through these programs. And as comforting as it has been to connect with countless families going through the same struggles with their children — it also speaks to the need for support. Today, autism affects over 11,000 children and youth in BC alone. It is the fastest growing and most commonly diagnosed neurodevelopmental disorder in Canada. There are countless struggles. And countless unknowns. But since Jordan was five, Canucks Autism Network has been there for us in ways that no other organization has. They have given me, Jordan and my entire family so much. With your support, we can create the same positive change and the same life-changing experiences that every child should have. We can do that for families living with autism by supporting Canucks Autism Network and the Canucks for Kids Fund.